The holidays are upon us. Those of you who have a large family know all too well about the headaches of trying to get your loved ones the right gifts. Visiting your local shopping mall can always give you some ideas for your Christmas shopping. But it’s always better to go shopping with a plan and a set of ideas. Gift Plan is an attractive application that lets you do just that. It keeps track of your list of upcoming occasions and people you will be needing to shop for, saving you time with your holiday shopping. 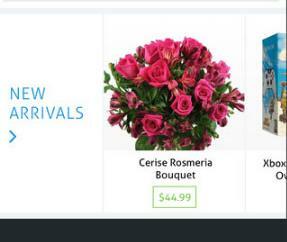 Gift Plan has a quite impressive interface. Your information can be easily imported from Facebook or your contact list. I like the fact that users can keep profiles on people they need to shop for. That way you always have the information you would need to get your friends and family members the gifts they can actually use. 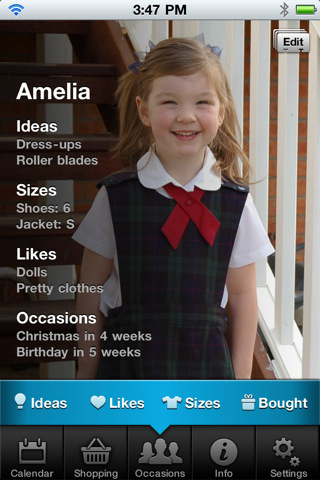 Gift Plan keeps track of your special occasions and sends you notifications prior to each. 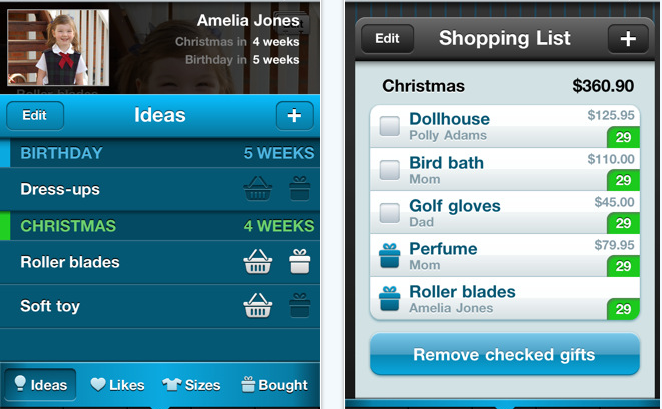 The shopping list feature is pretty handy too, allowing to get your shopping done with less headaches. 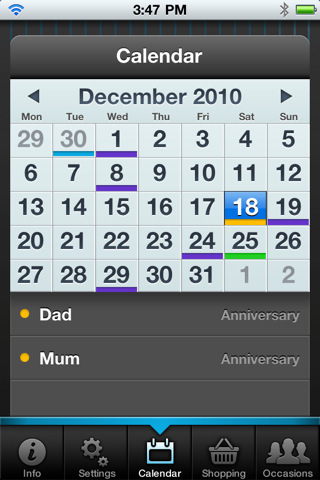 This app does have a color-coded calendar view to give you a better sense of what’s on your plate in the near future. All in all, if you need an app that can help you get your holiday shopping done more effectively, Gift Plan has you covered. 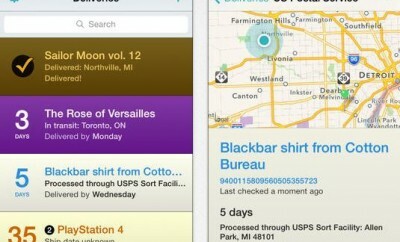 It looks great and is very user friendly.